When Mahoney returns to the place he was born, the small Irish village of Mulderrig, it doesn’t take long for the locals to figure out who he is. He is the son of the town troublemaker, a devil girl and a teenage whore. There are stories of how she simply left town one day, some seeing her get the bus, with or without her son, others saying they simply saw her walk away. With no solid evidence and a single photo of his mother, Mahoney is back to uncover the truth. Throwing himself into village life he soon learns that his mother’s sins have not been forgotten and although his good looks endear him to many of the female residents, most of the village see him as an outsider looking for trouble. He finds one true friend in the village of Mulderrig, the flamboyant, elderly actress, Mrs Cauley, one of the few people who people who fretted over the fate of his mother. Cauley is positive that Mahoney’s mother is dead but with no evidence, they’re forced to team up and investigate the locals to dig up the truth. But when a secret has been buried so long, there’s always someone who will do anything to keep it that way. And if Mahoney didn’t have enough to handle with the living, now the dead are talking to him as well. 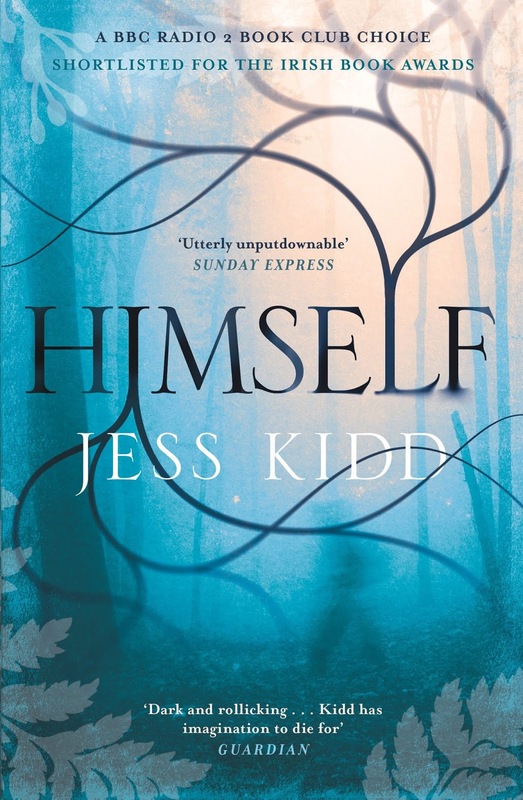 From the explosive violence in the opening pages, this novel gives the impression it’s going to be an incredibly dark read but Jess Kidd weaves a wonderful tale of mystery, humour, violence and friendship into something utterly wonderful. The village of Mulderrig is packed with some of this most vivid characters I’ve read in ages. Mahoney (who I couldn’t help but imagine as actor Joseph Gilgun from Preacher) is a lovable rogue, a small-time criminal with a heart of gold and you warm to him immediately. Cauley couldn’t care less what people think of her, is over the top and fabulous, bringing a lighthearted side to the story. This genre mash-up is the perfect example of how well it can work. If you’re looking for something unique and fun, look no further. I was so sad to turn the final page and say goodbye to Mahoney but I can’t wait for more from Jess Kidd.